Images of the original seven Mercury astronauts in their open-top Corvettes zooming along Florida's straightaways in the 1960s helped seal the deal for a car as American as apple pie. For nearly 60 years, the Corvette has provided a rocket-like ride right here on Planet Earth and has remained practically in a class by itself, which isn't surprising, since that's how it started out. 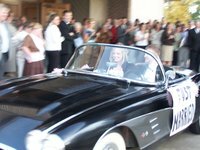 When GM created the Corvette in the early 1950s, the automaker was the largest company in the U.S. and well-known for its numerous functional yet relatively unexciting vehicles. Enter the Corvette, the brainchild of legendary GM designer Haley Earl, who envisioned a two-seat open sports car, something GM had never built before. 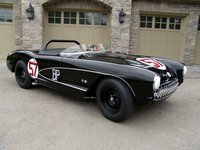 Originally intended solely as a show car for GM's Motorama at the New York Auto Show in 1953, the Corvette was quickly put into production by then-chief-engineer Ed Cole, and it soon rolled off the assembly line with a name suggested by Myron Scott, a photographer who founded the All-American Soap Box Derby before joining GM. He reportedly took the name from a type of small, maneuverable ship, which has its roots in the Age of Sail. Since its introduction, the Corvette has been in almost continual production at GM, making it one of the longest-running automotive marques still available. 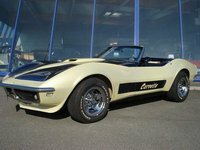 And for most of that time, the Corvette has retained its same basic sport-oriented shape and style, although exterior, interior, and performance improvements have pushed it solidly into the 21st century, where it continues to treat the world's highways like its own personal playground. For 2011, the Corvette remains a two-seat, rear-wheel-drive sports car and makes no apologies for its power and performance, though admittedly the engines have been tweaked for optimal fuel efficiency. A new Limited Edition Carbon Z06 Corvette, which debuts in 2011, comes tricked out with just about every cutting-edge component imaginable, including a new Z07 Performance Package, which adds Brembo carbon-ceramic brakes, Michelin Pilot Sport PS2 tires, and unique staggered wheels (19-inch wheels in the front, 20-inch in the rear). It also comes equipped with a CFZ Carbon Fiber Package, which adds rocker extensions, a front splitter, and a full-width rear spoiler. 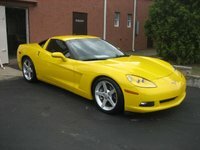 Chevy offers the Corvette in a wide range of configurations and trim levels for 2011. A 430-hp, 6.2-liter LS3 V8 engine powers the Base Coupe, available in 1LT, 2LT, 3LT, and 4LT trim levels, as well as the Base Convertible. Stepping up a notch, the Corvette Grand Sport also comes in Coupe (at 1LT, 2LT, 3LT, and 4LT trim levels) and Convertible versions. Although it's powered by the same engine, it offers a wider body, larger brakes, a sport-tuned suspension, unique wheels, and an available Magnetic Selective Ride Control feature, which stiffens the suspension at the press of a button. The 6.2-liter V8 manages fuel economy numbers of 16/26 mpg. The Z06, which slots in above the Grand Sport, pumps up the power with a 505-hp, 7.0-liter V8. Available only as a coupe, the Z06 comes in 1LZ, 2LZ, and 3LZ trim levels. The big 7.0-liter V8 manages fuel economy numbers of 15/24 mpg. At the top of the heap, the famed ZR1 lays claim to the title of the Ultimate Corvette, thanks to its 638-hp, 6.2-liter supercharged LS9 V7, which drives the car to a top speed of 205 mph. The ZR1 comes in 1ZR and 3ZR trim levels, and posts fuel economy numbers of 14/20 mpg. Not surprisingly, critics rave about the current version of the Corvette, citing its incredible performance, sports-car handling, long list of attractive add-ons, and relatively decent fuel economy as positive points. Some find the 'Vette's interior somewhat lacking when compared to competitors from BMW, Mercedes, Audi, and Lotus, but there's no doubt the Corvette remains very much an American legend, with equally legendary performance and handling. 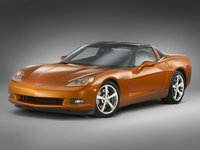 Well into its sixth generation, the Corvette could use a next-generation refresh, and GM has reportedly been planning one for several years. Discussions reportedly have centered on a change in configuration from a front-engine design to a mid- or rear-engine layout, but all recent signs point to the Corvette carrying forth its current front-engine, rear-wheel-drive layout, as well as essentially the same exterior shape, well into the future. 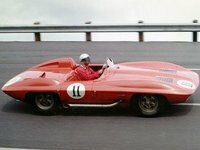 Though groundbreaking on the outside, under its fiberglass skin the first-generation Corvette (called the C1) was fairly unimpressive. 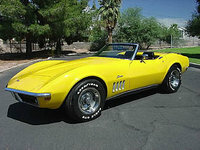 The original Corvette rode on a chassis borrowed from GM's sedans, such as the Bonneville, Bel Air, and Impala, and for this reason is often called the "solid-axle" Corvette because of its rear drivetrain and suspension. Handling was improved by sliding the cabin back in the chassis, which redistributed weight, and adding tighter, more responsive steering. Power came from a 150-hp, 235-cubic-inch six-cylinder, which mated to a new two-speed automatic Powerglide transmission. While the car handled well, especially in tight corners, performance was sorely lacking, according to early testers. In the first year of production, because of a late start, only 300 Polo White Corvette convertibles came off the automaker's assembly line in Flint, Michigan. Those vehicles remain highly coveted today. The slow start was due in part to GM's use of fiberglass for the first time for a production-model automotive body. The fiberglass body was produced in 46 pieces by a company in Ohio and hand-assembled at the plant, resulting in a slow process. Original exterior design elements included round headlights, subtle tailfins, and a unique shark-teeth chrome grille. For 1954, production was moved to St. Louis, and additional exterior colors were added as GM worked out the bugs with the fiberglass body. Sales were somewhat sluggish due in part to the Corvette's lackluster powerplant. 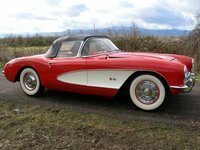 A new 195-hp, 265-cubic-inch V8, introduced in 1955, helped jolt sales, but an exterior redesign in 1956 made the Corvette legendary. 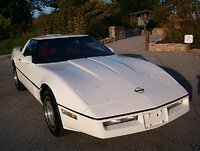 A new chrome grille, concave sides, and a sculpted hood, as well as the tapering rear end minus the tailfins, gave the Corvette a much sportier appearance. 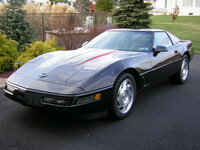 Power was pumped up to 210 hp, and for the first time Chevy offered the Corvette with an optional removable hardtop. Horsepower continued to increase through the late 1950s, and Chevy added a number of new transmissions, including a four-speed manual transmission in 1957. An extensive restyling in 1958 included new quad headlights and an updated interior with a new steering wheel, dashboard, and instrument gauges. By 1960, the Corvette's V8 engines put out as much as 315 hp. Another exterior redesign in 1961 gave the Corvette a "duck tail" rear end with four round taillights. 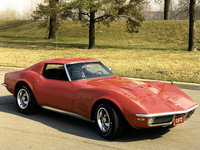 A second-generation Corvette, also called the C2 or "mid-years" generation, debuted in 1963 and lasted until 1967. It's considered by many to be the most attractive Corvette ever built. Drawing its design inspiration in part from the Jaguar E-Type, as well as reportedly from a mako shark, the new Corvette adopted the Sting Ray name, which perfectly described its streamlined shape, low cabin, and tapering tail, accented by hidden headlights, non-functioning hood vents, and a split rear window. 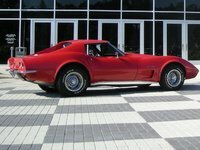 The second-generation Corvette sat on a new ladder-style chassis with a shortened (by 4 inches) wheelbase and came equipped with an independent rear suspension for the first time. A choice of 327-cubic-inch V8s generated up to 360 hp, which increased to 375 hp in 1965, while a 396-cubic-inch L78 V8, which debuted in '65, put out 425 hp. However, it remained for only a year, and was gone by '66. In 1967, Chevy upped the power quotient even more with the introduction of the limited-quantity, 427-cubic-inch L88 V8, which reportedly delivered around 500 hp. 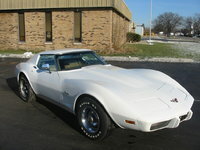 The Corvette received another makeover in 1968, resulting in the C3 or Mako Shark generation. 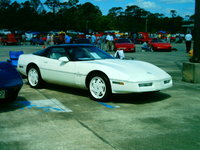 Building on the previous generation's design, the third-generation Corvette displayed more pronounced wheel flares, which gave it an overall more muscular look. It rode on the same platform as the previous generation, and came in coupe and convertible trims. Most of the previous generation's engines were still available, including the big 427 L88 V8. The legendary ZL-1 joined the lineup in 1969, equipped with a tweaked version of the L88 V8, which generated an eye-popping 585 hp. 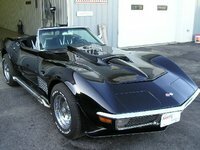 The following year, Chevy switched up the rest of the Corvette's powerplants, adding a new 370-hp LT-1 350-cubic-inch V8 and a couple of new big-block, 454-cubic-inch V8s, which produced 390 and 460 hp, and replaced most of the 427s. 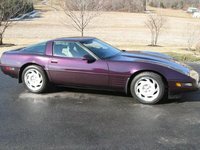 Chevy made minor updates to the Corvette's exterior in 1978, in honor of the car's 25th anniversary, and introduced a new Silver Anniversary edition. In addition, Chevy offered an Indy Pace Car edition, which commemorated the Corvette's first time as the pace car at the 500. 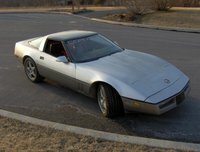 The fourth generation Corvette (C4), which bowed in 1984, had a slightly shorter wheelbase (by 1.8 inches) than the previous generation, as well as a new suspension and rack-and-pinion steering, a first for the 'Vette. Outside, the car displayed smoothed-out lines with a clamshell hood and square headlights, while the interior came equipped with a new digital instrument panel. 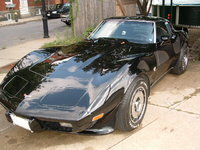 A 230-hp V8, which debuted in 1985, became the standard powerplant for the fourth-generation Corvette. 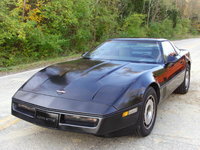 In 1986, Chevy unleashed a second Indy Pace Car Corvette, and a number of limited editions followed, including the Callaway Corvette in 1987, a 35th Anniversary Edition in 1988, and a 40th Anniversary Edition in 1993. For the fourth generation's final year in production in '96, Chevy added Grand Sport and Collector Editions. Exterior styling for the fifth-generation Corvette (C5), which debuted in 1997, was evolutionary rather than revolutionary. 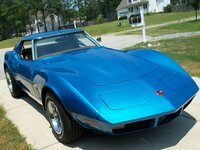 While the 'Vette's basic profile remained largely unchanged, with its long hood, hidden headlights, low cabin, fastback-style rear window, and short, rounded tail, the body displayed more pronounced curves, especially across the hood and flared wheel wells. 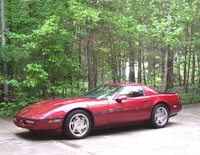 Under its skin, the 'Vette was more revolutionary, with all new components, including new powerplants. The Corvette sat on a new platform designed for a more solid, stable feel, while the transmission (either a six-speed manual or a four-speed automatic) was repositioned over the rear axle for better weight distribution across the chassis. Power came from a new, all-aluminum Gen III LS-1 345-hp, 5.7-liter V8, which provided an exotic-car-like 0-60 time of 4.8 seconds. Better yet, the V8 managed up to 28 mpg on the highway. Although initially available only as a coupe, Chevy added a fifth-generation convertible in 1998, and bumped horsepower for the V8 to 350 hp. 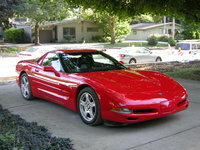 A fixed-roof coupe appeared in 1999, followed by the debut of the Z06 Corvette a year later. It featured a stiffer body and suspension, more powerful brakes, lightweight wheels, and a 385-hp L6 V8, which was derived from the LS1. 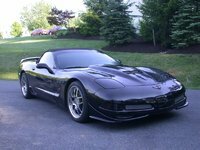 Horsepower for the Z06's V8 was boosted to 405 in 2002, and a carbon-fiber hood and titanium exhaust system, added in 2004, helped further reduce the Z06's weight, improving performance. 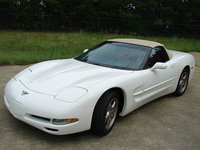 Chevy introduced a 50th Anniversary Corvette in 2003, which came equipped with the Magnetic Selective Ride Control system. The 50th Anniversary 'Vette paced the Indy 500 in '03. The sixth-generation Corvette (C6) appeared in 2005, and brought the Corvette into the 21st century. Chevy smoothed out some of the previous generation's exterior curves, reworked the front grille, gave the 'Vette exposed headlights, and added an all-new suspension with optional Magnetic Selective Ride Control and an optional Z51 package with a retuned performance-oriented suspension. Power came from a new 400-hp, 6.0-liter LS2 V8, which pushed the sports car from 0-60 in about 4.2 seconds. By creating a more aerodynamic shape and fine-tuning the powerplant, the sixth generation managed to deliver fuel economy numbers of 16/26 mpg. 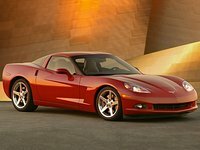 A new Z06 arrived in 2006, with a 505-hp, 7.0-liter LS7 V8, and in 2008 Chevy gave the Corvette a minor update, with a new 430-hp, 6.2-liter base V8. With a six-speed manual transmission, 0-60 time was reduced to about 4.0 seconds. 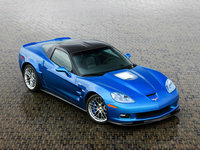 In 2008, the ZR1 Corvette arrived in showrooms, equipped with a supercharged 6.2-liter V8 producing 638 hp. 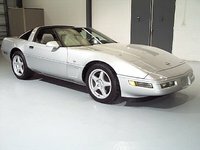 The ZR1 included a full-leather interior, and pushed the sticker price for America's sports car somewhere north of 100k. Many considered the price worth it, though, as the ZR1 had a top speed of 205 mph, and held the distinction as GM's most powerful sports car. Naturally, early-production-run Corvettes are highly coveted collectors' prizes, especially the original Polo White convertible versions. 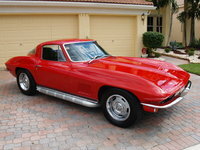 Many collectors feel the second-generation Sting Ray, produced from '63 to '67, was the most beautiful Corvette ever built, and those cars similarly remain highly collectible, as do the many special- and limited-edition Corvettes produced along the way, such as the Anniversary and Indy Car editions. Cars of both the current sixth-generation (produced after 2005) as well as the previous fifth generation (produced from 1997 to '04) make good choices for potential buyers. The fifth generation in particular displayed a curvaceous exterior, making it one of the sleekest 'Vettes available, though some thought it drew too many styling cues from upscale imports. 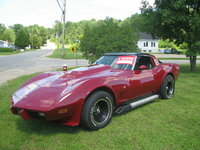 Some owners also complained about the fixed-roof Corvette available in 1999, since some felt the roof design impacted the car's flexing and stability. 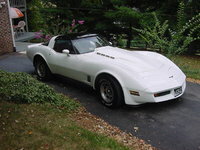 The fourth-generation Corvettes, produced from 1984 to '96, also make good buys, although some owners found it difficult to enter and exit the car, due to its low stance and door design. Some reviewers also knocked the fourth generation's large rear end, though it provided good cargo space. In addition, the fourth generation broke with tradition, sporting squarish headlights rather than round or hidden ones. However, the fourth generation performed well, and remains a good option for prospective buyers. GM's goal throughout the Corvette's production run was to create a powerful yet affordable sports car. By keeping sticker prices down as much as possible, GM was able to offer the car to a broader audience than, say, some of the higher-end European sports cars. Still, with prices for current entry-level Corvettes approaching $50k, prospective buyers can expect to find prices for some used 'Vettes a little breathtaking. All generations of Corvettes continue to hold their value well, and CNN recently named the Corvette as one of its Top 10 cars when it comes to resale value. This means prices for many trims and models will be at a premium, especially more recent versions. 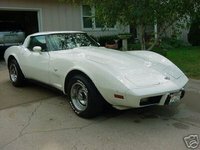 However, with a wide variety of production years, generations, and trims from which to choose, buyers shopping for a good used Corvette will more than likely find a version that matches their desires and budgets. How long did the Chevrolet Corvette have an in-line 6 engine? Contacted seller thru your site, he replied but the only way I can reply to him is to make contact to meet for test drive or make an offer. No way I can ask further questions and chat?